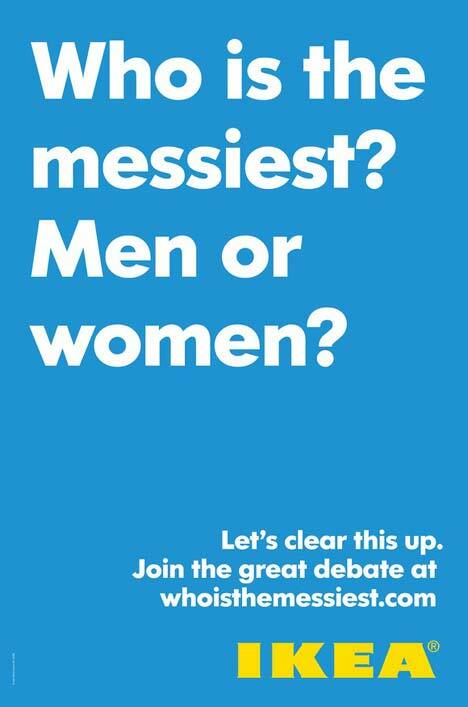 IKEA is asking the Australian public (in NSW, Victoria and Queensland) “Who is the messiest?” in an advertising campaign covering radio, press, street posters and AdShels. Advertisements test Australian stereotypes. 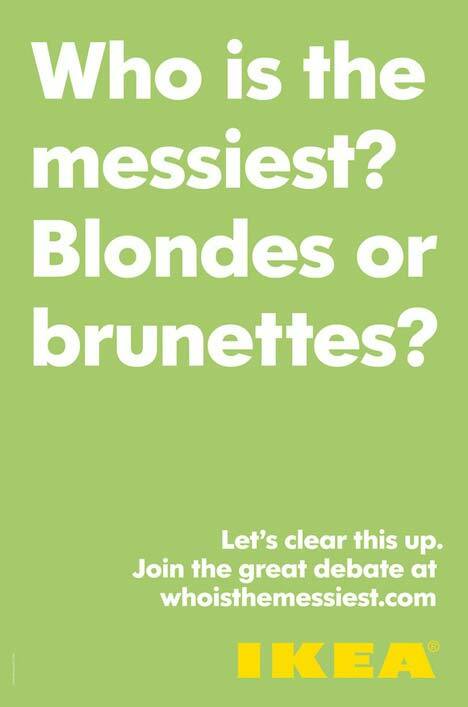 Blondes or brunettes? Cat people, fish people or dog people? Gays or straights? Goths or hippies? Men or Women? Advertisements lead to an interactive competition site, whoisthemessiest.com and are supported by a 32-page “Clear up and clean up” IKEA-designed brochure, letterbox dropped to two million homes in Sydney, Melbourne and Brisbane. The IKEA Who is the Messiest campaign was developed at Host, The Glue Society and IKEA. Media is being managed by MediaCom and Beyond Interactive. Ambient Advertising looked after the outdoors campaign.